Is your fear of flying preventing you from taking that life changing holiday? Are you terrified of leaving the house in case you run into a dog? Do you plan your day around avoiding your fears? If your fear, phobia or anxiety is taking over your life and stopping you from living the way you want, then Cure Your Phobia in 24 Hours is here to help. Through carefully honed techniques and strategies, psychotherapist and CBT expert Richard Reid will unlock your true inner potential. As well as overcoming your immediate fear or phobia in record time by expanding your comfort zone in a step-by-step plan, Richard will also help you build long term strategies, teaching you to discredit negative thinking and grow confidence to be the fearless person you've always want to be. 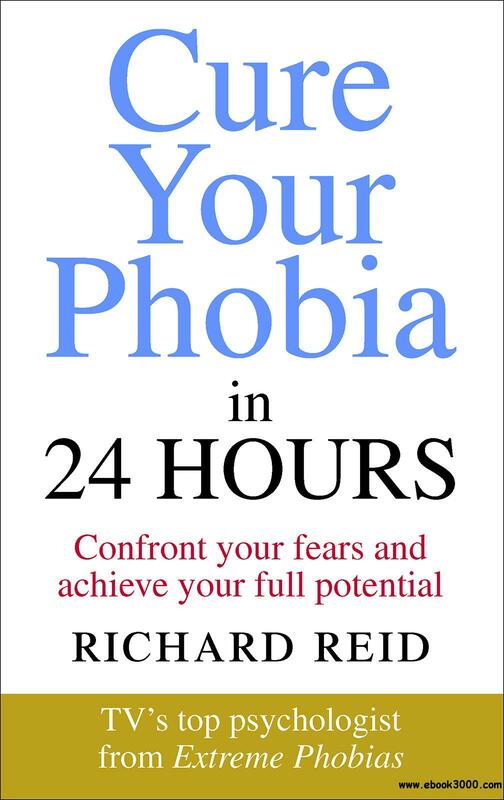 Reassuring, warm and hugely practical, with accessible guides for every phobia from Agoraphobia to Ornithophobia, advice on how to manage anxiety and panic attacks and easy-to-use, practical guidance to help you on your journey, Richard will be with you every step of the way. In Sky's Extreme Phobias, Extreme Cures, Richard helped dozens of people overcome their greatest fears in a matter of hours. With his help, in just 24 hours you too can be phobia-free and ready to grab life with both hands.